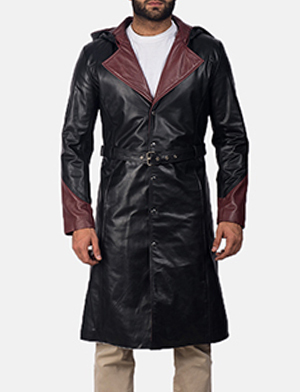 I want to buy Mars Maroon Leather Jacket with following changes. My brother and I just receive it (custom size) and we are very happy, we just love this Jacket. I wanted to thank you again for your work, what you do is really great. Can not recommend this product enough! I ordered a custom fit and from order to delivery it only took a week. Customer service was fantastic, communication was easy and prompt with all questions asked and answered. You guys have a customer for life with me! OMG!!!!! Love love love my new Starlord jacket!!!!! I can't you enough for your help!!! Just wish it was a few inches long since I'm tall. But I could live with the length. But for next order, I'll add the extra inches long. Cuz I'm totally a customer for sure. 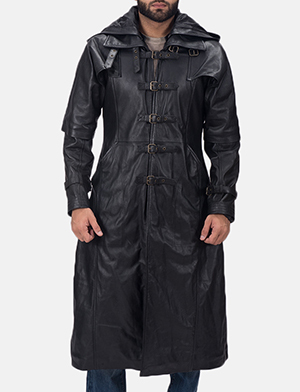 Actually, I don't care about they length, it's such an awesome jacket!!! And the fit!!!! Thanks again. Have a wonderful day!! Let's tell about the jaket! I can't pull it off! Is so amazing!!!!!! The details are incredible and it fit perfectly!!!!!! Thank you very much!!!!! Wow!!!! 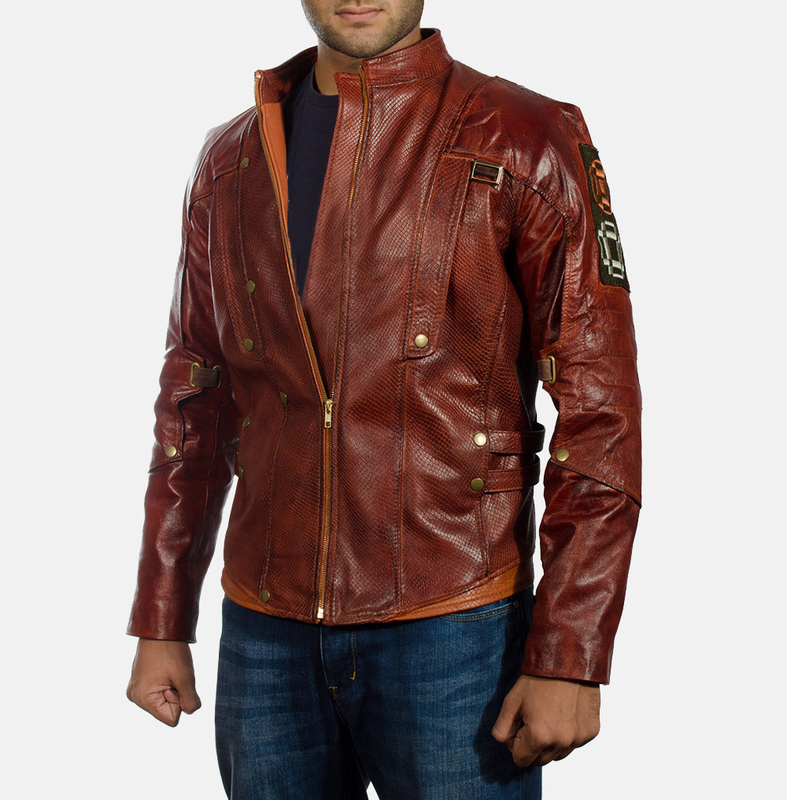 I am a big fan of the Guardians of the Galaxy movie and I wanted to get my own Star Lord Jacket. 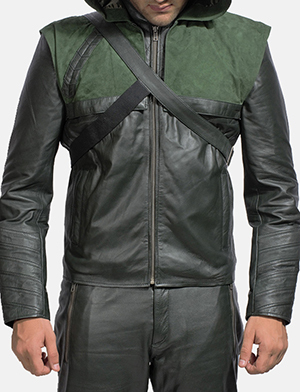 I researched what was available and the one from The Jacket Maker was clearly the best in terms of style and quality. 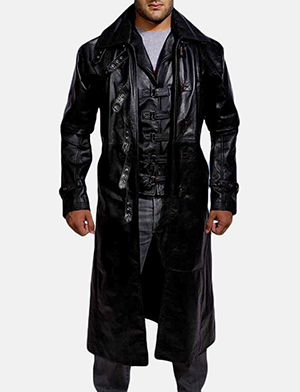 However, I needed a large special order size and was very skeptical about ordering a custom-made leather jacket over the internet. So let me make two comments. First, I made my measurements according to the instructions at their website, my custom order was placed on November 23, and, to my total astonishment, the finished item arrived ten days later. 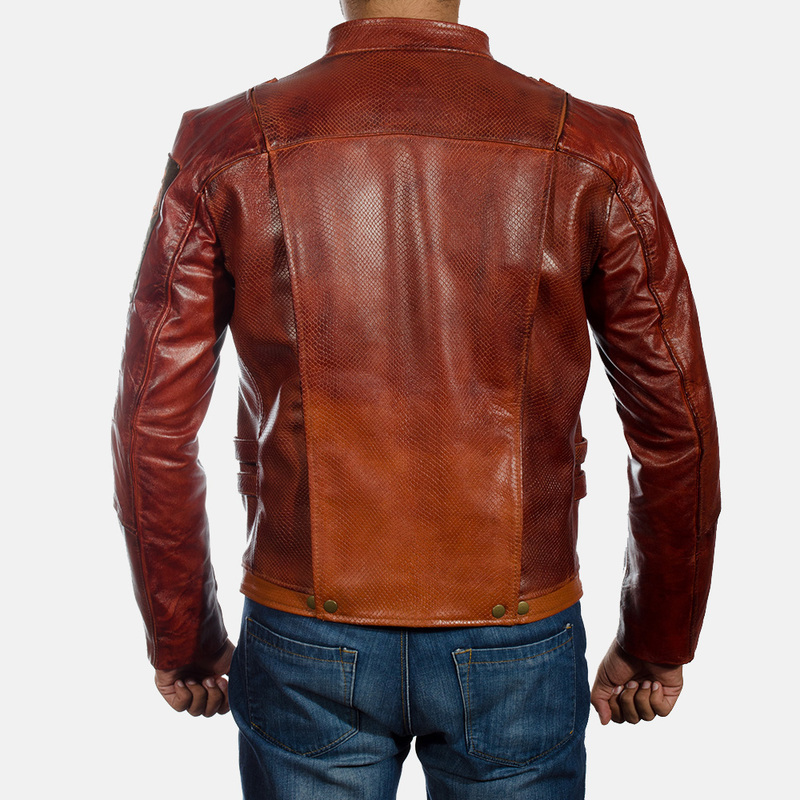 Second, the quality of the jacket I received is excellent, the many details are well done, the different leather textures carefully reflect the original worn in the movie, and the fit is absolutely perfect. 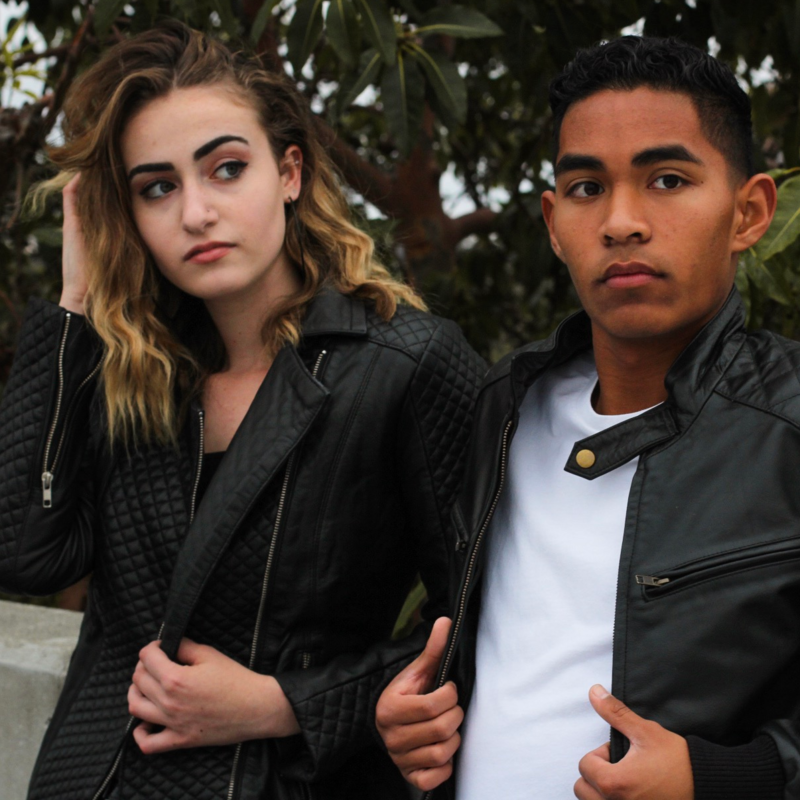 I am very satisfied with my custom made jacket and I plan to make an additional purchase from The Jacket Maker company next year. First off, the jacket is perfect. it's far better than i expected it to be and among all jackets i've seen, this is the best. it fits well and the detail is amazing. Secondly, the service alone was some of the best i've had from online retailers, which i was surprised about after looking at a few comments from across the internet. They responded quick to any question including my custom order (I got the jacket without the patch on the arm). they updated me constantly and during it's shipping i was noticed along the way, plus, the Jacket turned up much quicker then i expected which was a great surprise! whatever doubts i had were easily put to rest and i would buy from them again Thank you! Beautiful craftsmanship! I was so looking forward to this jacket, I've been debating on buying one for some time. This thing is beautiful! 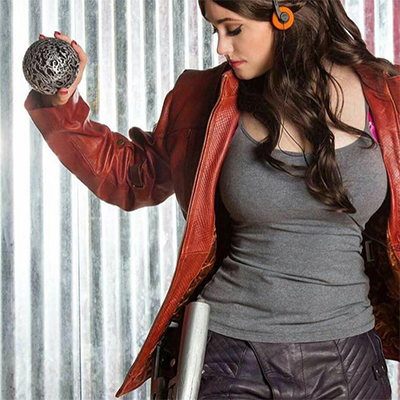 Real leather, I feel just like Star-Lord! 10/10. Rapid delivery! A+ across the board! I'd heavily recommend it! I'm 150 pounds and 5'8&quot;, I ordered a large and it's slightly generous. Plus I'm very thin. Love it! Extremely happy with the jacket! Love my Guardians jacket ! The quality of this jacket is simply excellent. 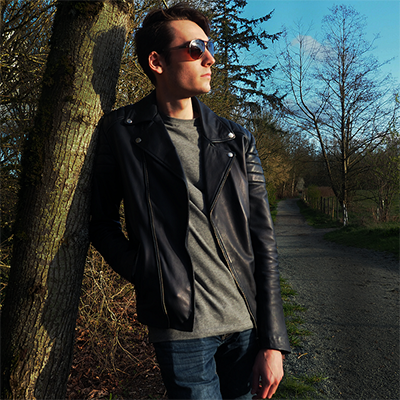 It is one of the best jackets I own now and definitely worth the money. I ordered it and got constant updates every step via text, it even arrived a day earlier then predicted. Also the sizing chart was perfect the first one I ordered fits perfectly. I'm also impressed with the quality no flaws anywhere. one of the best quality Jackets you'll find, well worth the money and i'll defiantly be buying from the jacket maker again. A wonder: I was suspicious on the quality but no deception! This is so great (let's see how it will survive to few years). It's a bit more red than this photo (it has been written before here so I was not surprised, but beware). I wanted it for my birthday but 10 days after my order, the status was still the same... I was deasapointed but the jacket finally arrived on time the eleventh day! So happy : have a nice come back to 1985! Incredible product. Very well made, although it's got actually got more of a reddish hue to it than the pictures would suggest, but that's not a complaint as I really like it. The first time I wore it out I was complimented on it within 10 minutes by a passer by. Would absolutely recommend. I got my jacket today, and it is beautiful. 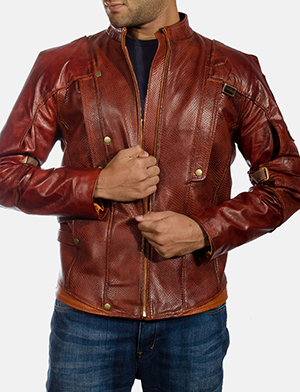 Very well made, good quality leather. 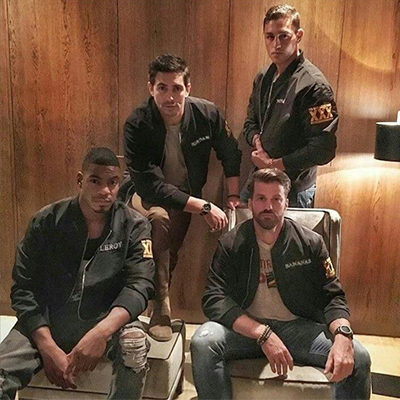 I don't know what is going on with this company, I imagine the demand for their jackets is higher than expected and they can't keep up, but for awhile there I thought I had been scammed as none of my emails were being answered, I didn't have a shipping notice, their phone number goes straight to voice mail, etc. When someone sends you over 300$ for a jacket, COMMUNICATION is important, so we know a product IS coming, that you DID get my order, etc etc. I had to raise hell on their Facebook page to get an update, but then they made up for the hassle by expediting the shipping. 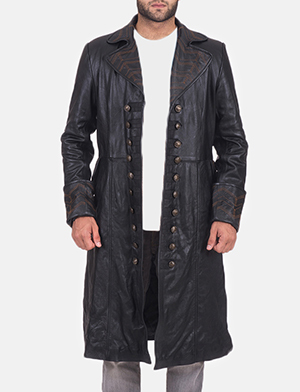 So, moral of the story: This jacket is amazing and the craftsmanship is outstanding. The customer service is dodgy and inconsistent, y'all need more employees just answering emails and phone calls. With that being said, the jacket is SO nice, i'd do it all over again. 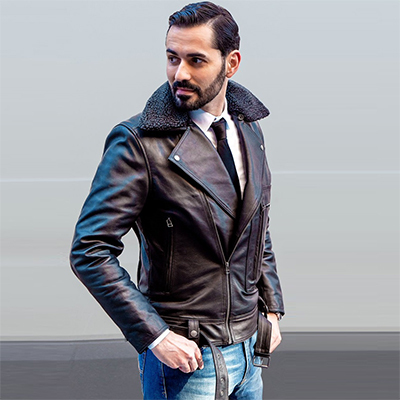 SUPERB LEATHER JACKET AND WANT TO LOOK IT AGAIN AND AGAIN, PERFECTT FOR EVERY ONE, LOVE THIS JACKET TO WEAR, WANT THIS JACKET, CHECK THE QUALITY OF THE LEATHER GUYS, I REALLY REALLY LOVE IT! The jacket is great! I ordered for my husband's birthday, I fretted about getting it to arrive in Sydney, Australia in time but they made sure it arrived on time, thankyou! 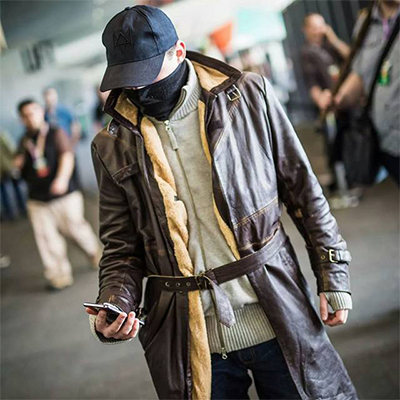 Jacket is really detailed and well made, very happy with it and the service. This is not only for cosplay. 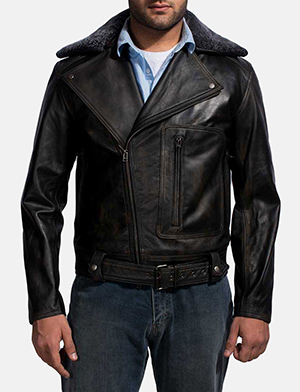 This jacket is actually designed as wearable leather jacket. 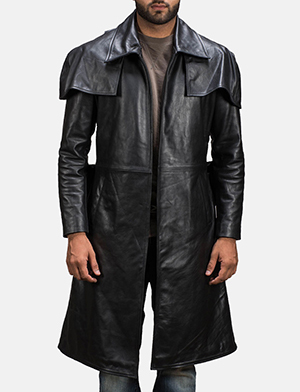 You can wear it when you go outside and everyone think it's cool looking jacket. Of course, $335 is not exactly cheap. But this jacket is worth every penny of it. 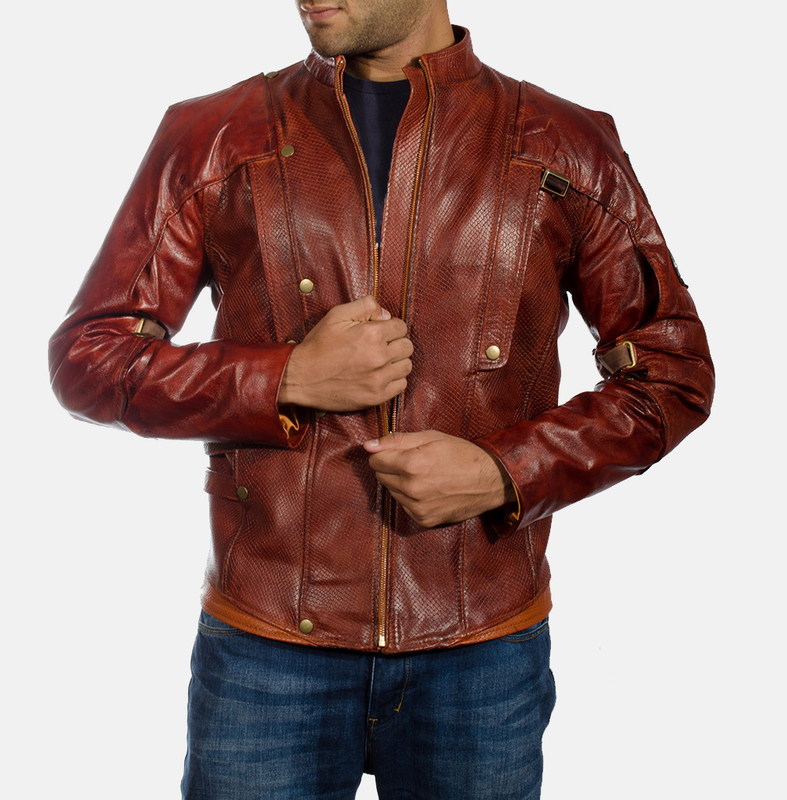 I highly recommend this jacket for those of you who is just looking for a beautiful red leather jacket to wear for every day use. 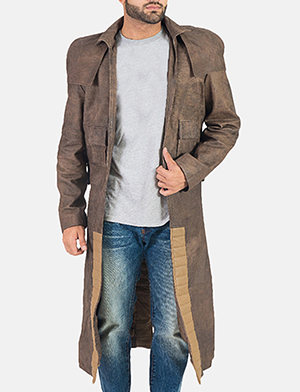 Or who wants something for your Star Lord costume but not really sure about buying one of those cheap looking Star Lord jacket that other sellers offering. Trust me. 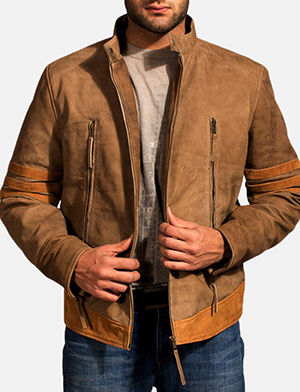 I've seen other guys buying that one of those cheap looking Star Lord jacket made out of faux leather and cost less than $100. As soon as he saw my jacket from TheJacketMaker, he throw his jacket away and purchased this one. That's how this jacket worth and looks. It literally changes someones mind!! I have never regretted for purchasing this jacket. Absolutely immense. Well worth the money; will definitely buy more from this site. Amazing will not describe this jacket. 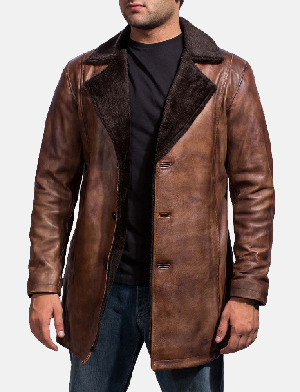 My husband absoulutly loves the jacket and said it was one of the nicest gifts he has recieved. Quality was A+, fit was wonderful. They went out of their way to get his measurement and make sure the jacket fits right. If I need to shop for a jacket there is only one place I visit. Thank you! The shipment was quick, the jacket is amazing, I LOVE IT ! 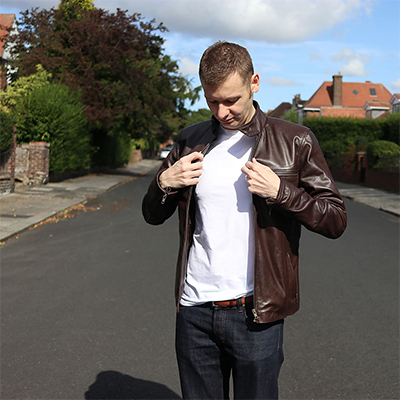 A really big THANKS to The Jacket maker, and merry christmas everyone ! @ Dominico, I think you are confused. 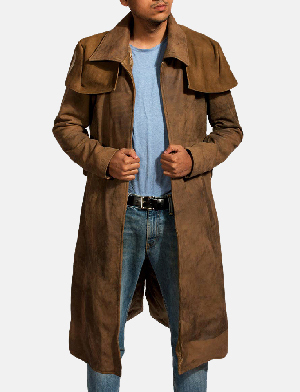 Yes the coat is longer, but it's the coat. 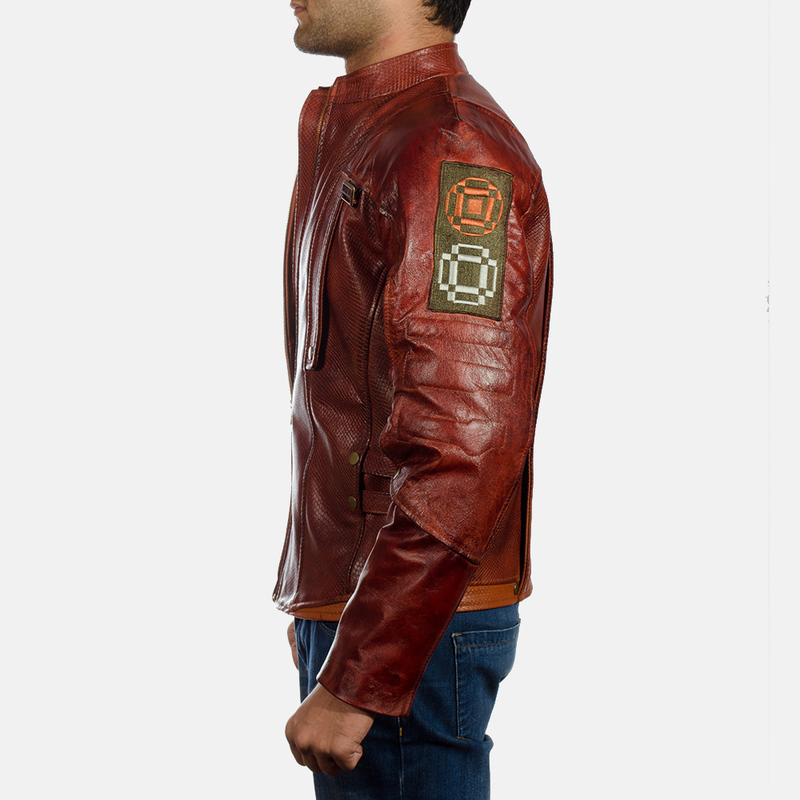 This is the closest you can get to the actual jacket that was in the movie, I think it looks awesome. 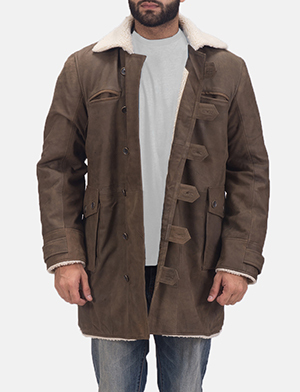 @ Dominico if you want the coat, you can also find it on here. 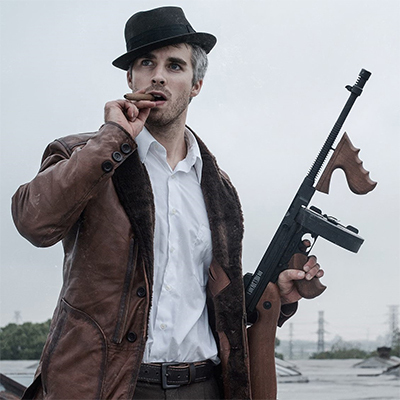 Looks cool but his jacket is longer in the film. This one possibly is better for &quot;real life&quot; if you get me. Perfect. 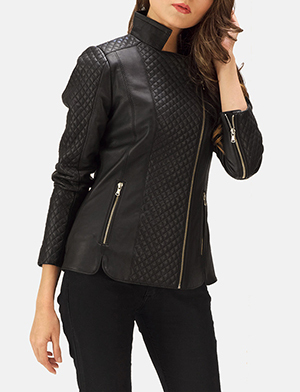 Very easy to deal with the seller and the Jacket is great. Thank you. It shipped on time and is made exquisitely. Love it. Thanks for the good work. 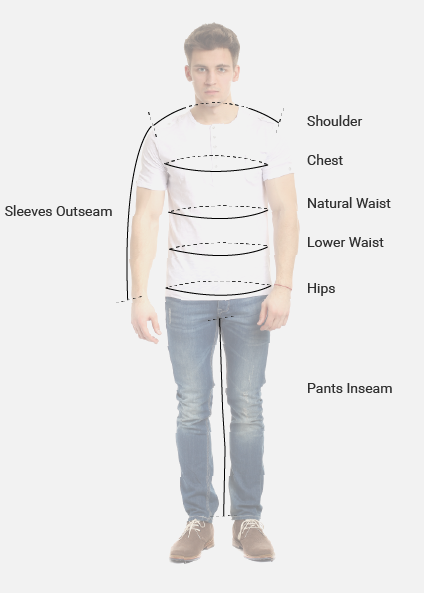 Love it, for the price it it is excellent, well made and a great fit. Great quality! but barely got the package on time. The quality is perfect. Received several compliments on it. It looks just like it does in the pictures and is legitimate. This was shipped extremely quickly and got it just in time for Halloween. Their communication is superb! 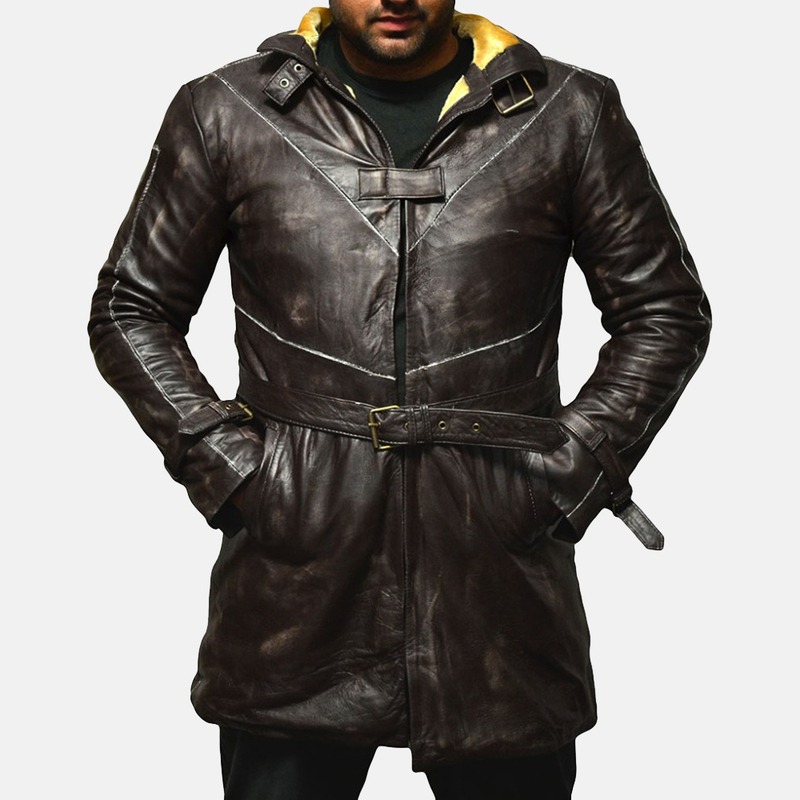 Will order many more jackets from here. 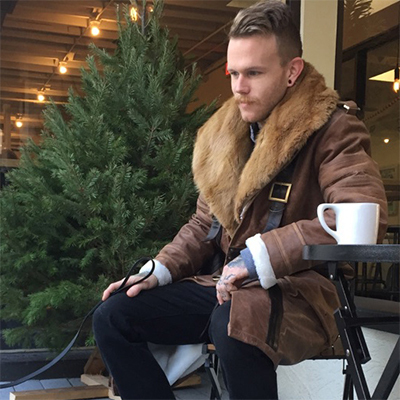 Thank you TheJacketMaker! This jacket is a real masterpiece. Great material, wonderful color. The jacket looks even better in reality than on the pictures. Surely I will order some jackets here again. I am really happy! Got this jacket for Halloween. The package itself got to me within 3 days and before Halloween, pretty fast! I did order it custom though so they may have drop-shipped it from there. The quality is amazing and looks pretty much like the picture. I am very impressed and will probably browse for some more to add to my collection.